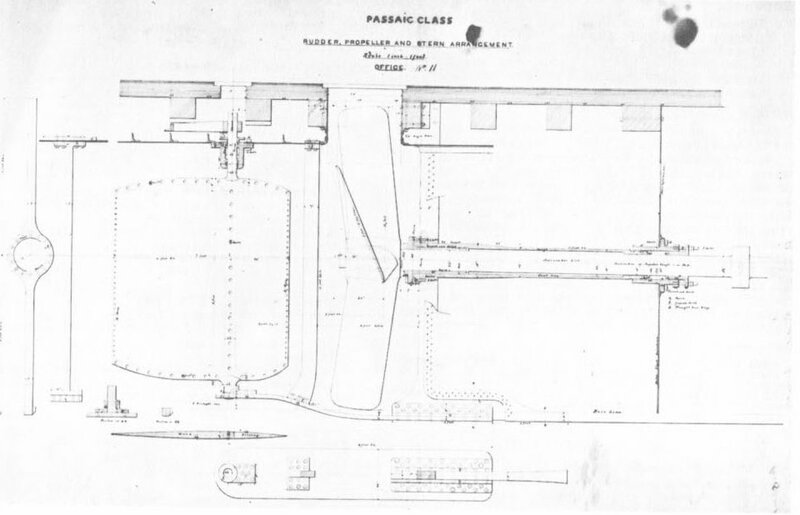 Operational and Building Data: Contracted to John Ericsson; construction subcontracted to Reaney, Son & Archbold, Chester, PA. Laid down summer 1862, renamed Sangamon, 9 September 1862, launched 27 October 1862, commissioned 9 February 1863. 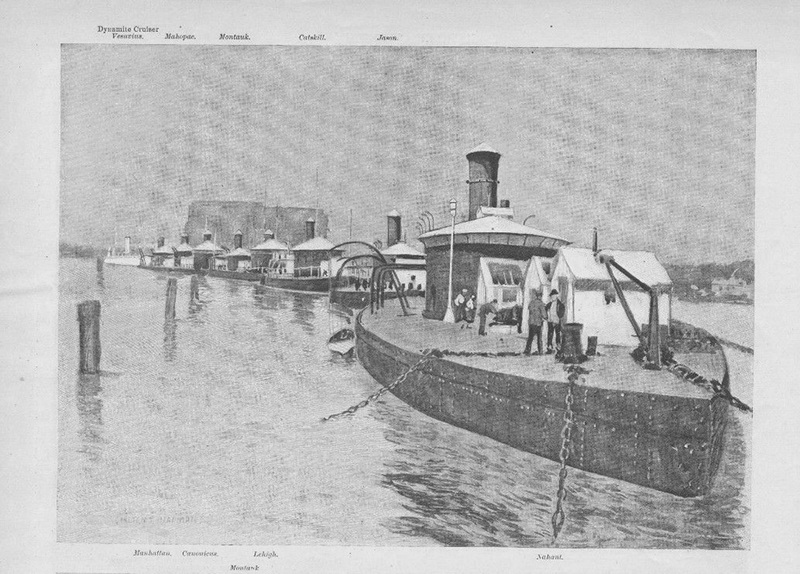 Operated in Hampton Roads and area rivers, then off Charleston. Decommissioned to reserve postwar, probably mid-1865. Renamed Jason 15 June 1869. Recommissioned for Spanish American War service 13 May 1898; decommissioned 1899. Fate: Sold for scrapping 1905. 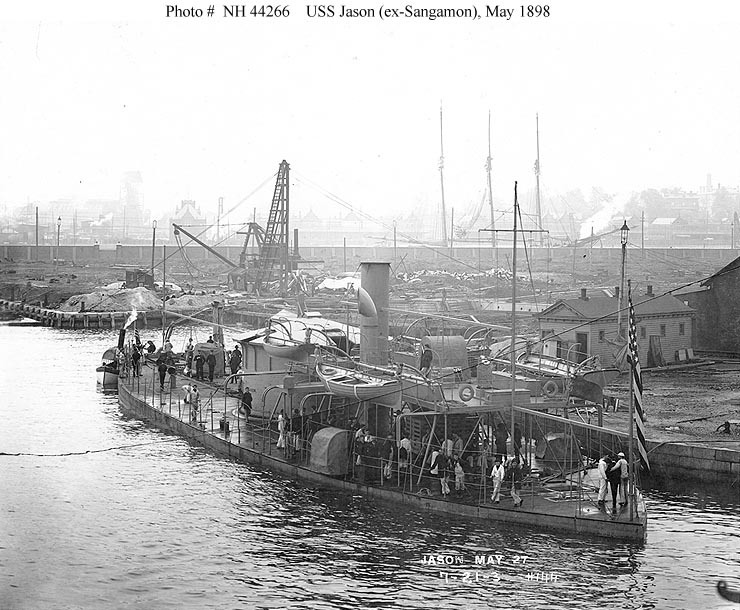 117k Sangamon photographed on 27 May 1898, probably at the New York Navy Yard, after she had been recommissioned for coastal defense service during the Spanish-American War U.S. 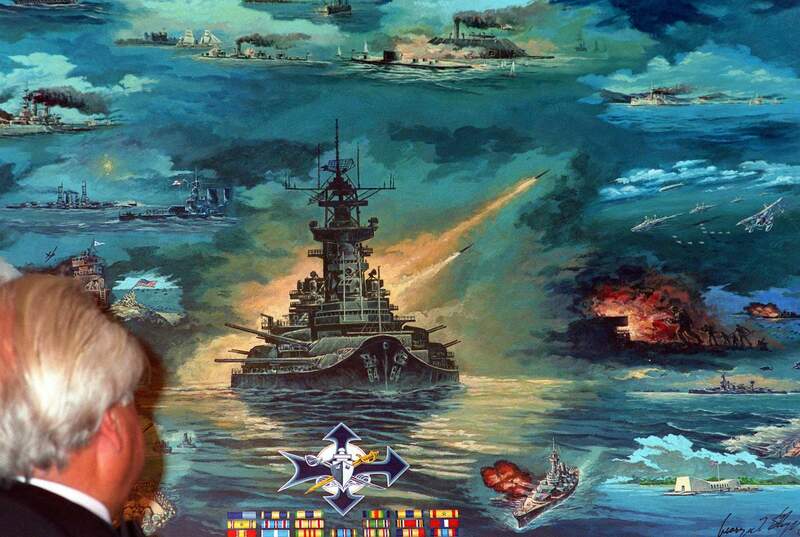 Naval Historical Center Photograph # NH 44266. 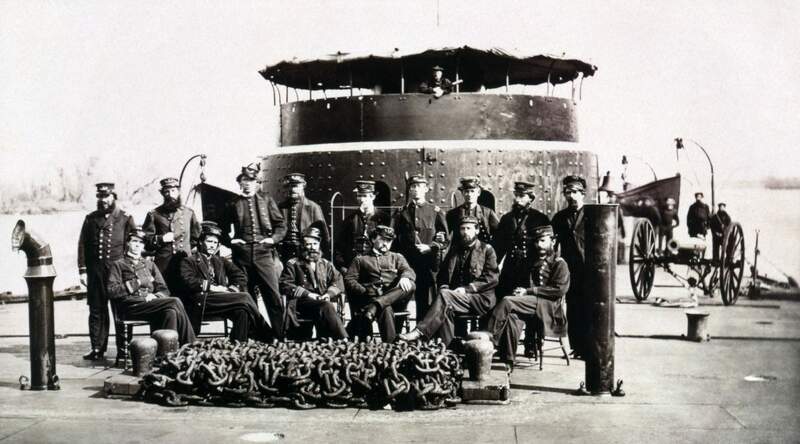 102k Ship's officers on the deck of a Passaic class monitor, circa 1864-65. This ship has been identified in one published source as Sangamon and in another as Patapsco. 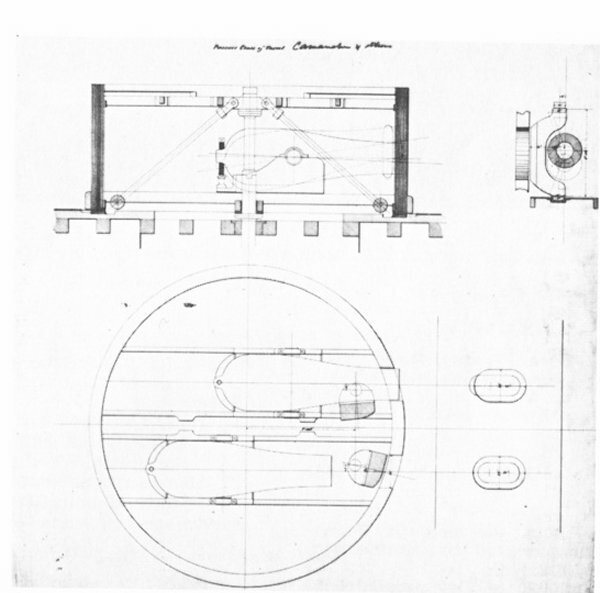 Note anchor chain on deck, ventilators erected over deck fittings, thin white band painted around the turret top, uneven height of the turret gunports, and Dahlgren howitzer on a field carriage. U.S. Naval Historical Center Photograph # NH 51953. 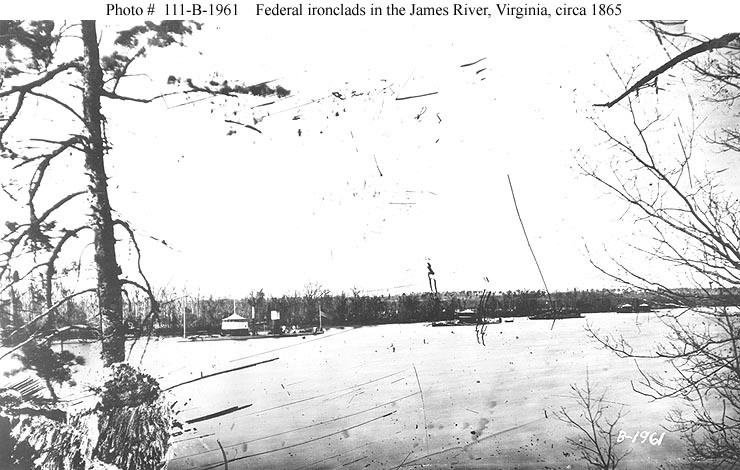 91k Federal ironclads in the James River, Virginia photographed circa early 1865, probably in Trent's Reach. 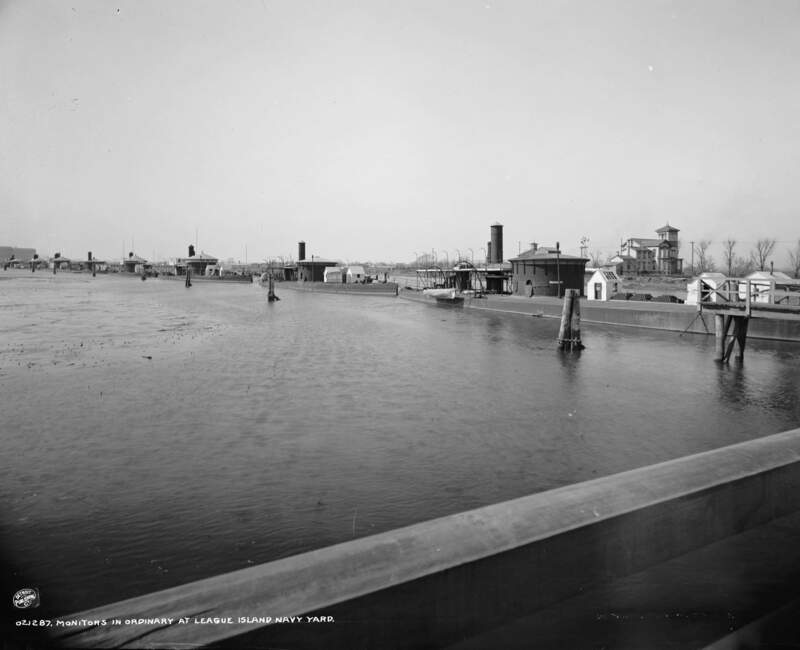 Ships are (from left to right): Saugus, Sangamon (probably), Atlanta and Onondaga. Photographed by the Matthew Brady organization. 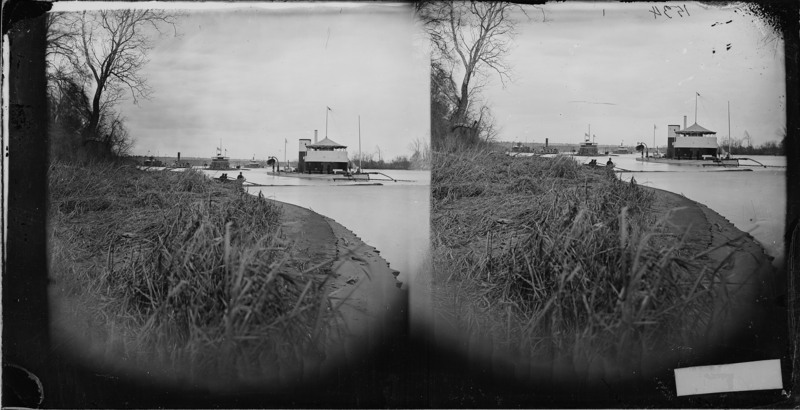 Photograph from the Collections of the U.S. National Archives. U.S. Naval Historical Center Photograph # NH 111-B-1961.